Have you ever had a dream or desire so powerful that it makes you feel downright luxurious and wealthy from the inside out, even though you might not have achieved or attained it yet? When you live your life as if you’re already rich and abundant you’re telling the universe that you value yourself enough to invite feelings of wealth into your body and life, before even receiving it. Imagine then, how much more powerful and fulfilling it will feel once you do achieve, attain or receive your dream, intention, desire or level of success. It will generate even more feelings and states of wealth and abundance, not only in your life, but in your heart and soul. It’s like a cycle that keeps flowing and circulating infinitely and you are tapped directly into that divine flow. You just have to open yourself up to it and allow it to create magic in your life. I’m going to share with you 7 ways to feel rich in abundant right now. These have all helped me generate wealth and success in more ways than one! If you constantly have thoughts of scarcity, fear and lack, what do you think you’re going to experience, embody and receive? However, if you generate feelings and visualizations devoted to feeling abundant, rich, wealthy, successful and full of love, you’ll attract those exact feelings and situations to you -- and in abundance at that! Since adopting a wealthy and abundant mindset it my life, I’ve noticed a huge shift in not only my level of happiness and bliss, but my energy and ability to attract and magnetize all that I need into my life at the exact moment it’s needed. The second you start to shift your mindset and channel your thoughts towards believing that you deserve and are worthy of having abundance and wealth, you’ll begin to co-create with the divine energy source.
. Once you do this you can begin to use the power of your imagination through visualizing yourself already HAVING all that you desire and more. Visualize it in such great detail that your emotions and feelings mix in, bringing even more awareness and power to your desires. Do you desire to have a certain amount of money by a certain date? Imagine what it would look, feel and be like to have that money already. Act as if it’s already yours. Imagine what you would do with it and how you would embody that wealth. Using your voice to physically communicate your needs, emotions, intentions and wildest desires will help you connect to and embody your inner state of wealth and abundance. You will feel the emotions with being rich and successful every time you say your mantra out loud. You can say something like "I am abundant," "I am embodying and receiving wealth and abundance right now," or "I am wealthy in every way." Repeat your mantra twice daily for a few minutes each time and make a sacred ritual of it. Connect to your mantra. Feel everything in your body as you recite it and let the emotions associated with wealth, success and abundance arise and consume you completely. 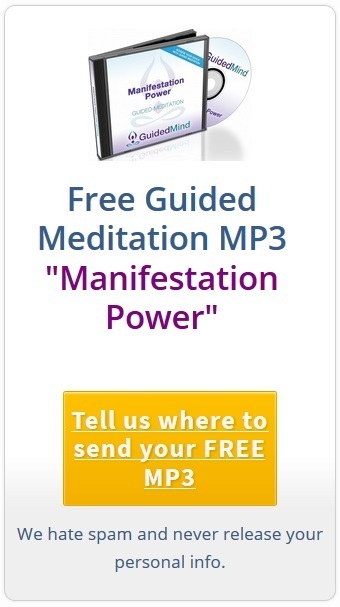 This will make your experience even more empowering and magnetic! 4. Treat yourself every day. It’s important to take the previous steps in activating your inner state of abundance, but you also have to take aligned and inspired action to show that you mean business about being rich and abundant externally in your life. After all, it’s not effective to simply tell yourself that you’re rich, wealthy, successful or abundant, but then turn around and complain two minutes later about how you can’t afford something or disrespect the money you do have. So make it a ritual every day and treat yourself to some luxury or an enriching experience. Go on a mini adventure to explore a local town. Or treat yourself to a really decadent dessert and savor the entire experience. Getting in the habit of creating, embodying and receiving luxury will allow you to associate positive emotions and feelings with abundance and wealth, therefore, attracting physical abundance and wealth to you. 5. Make your life about pleasure. This ties into the previous tip as it’s important to receive and allow pleasure in your body and life. If you don’t enjoy the simple pleasures of your life now, why would it be any different having more of those things? You have to revel fully in what you do have access to and soak every drop of bliss up. Pleasure is your birthright, so make it a point to bring more pleasure into everything that you do. If you expect your biggest, boldest and wildest desires and dreams to realize then you have to be ready to celebrate the manifestation or creation of them. It’s equally rewarding to celebrate all of the baby steps it takes to reach a certain desire though. Celebrating everything, whether large or small, mundane or sacred, is essential to feeling abundant and rich. You are always doing amazing things, so why not slow down for a few moments and appreciate yourself for it? Read also: Why and how to feel more grateful? Gratitude is like a desire attracting magnet. Genuinely honoring and appreciating everything that you have NOW is crucial to living in alignment, feeling rich and abundant now and inviting in even more of the good stuff. Your desires are awaiting you, but you have to stop and show gratitude for what you've already created or been blessed with. Each night, say or write down 3-5 things you’re truly grateful for that day and bring the feelings of receiving and achieving them into your body while you do it. Your wildest desires are on the horizon so tap into your inner abundance and call even more wealth and bliss into your life! What are your secrets to feel rich and tap into abundance? Amber Leitz is a Sensual Embodiment Coach for women who feel disconnected from their bodies and want to cultivate deep self-love from within so they can fully embody their sensuality, tap into their pleasure and own their sacred, feminine power. She is also a holistic health coach who has learned through her own personal journey with the Divine Feminine, sensual embodiment and rediscovering self-love from within that empowered women who come together literally create magic and beauty around them. She currently works intimately with women through her private 1:1 Sensual Embodiment coaching sessions and local Sensually Embodied Woman™ workshops. She also created The Sensually Embodied Woman™ Masterclass 5-part video series to help you embody your sensuality, tap into your pleasure and fiercely pursue your wildest desires! This is a complimentary training course for women who long to connect with their feminine, sensual energy. To sign up, click here. She currently has limited spots open for 1:1 Sensual Embodiment coaching. To learn more or to apply, click here.